That new Apple Watch will be going on your next trip, be it business or pleasure.You will need to take along an extra band or two and the charger and perhaps even a small USB battery pack to keep the watch and phone topped off with charge power. The TimePorter for Apple Watch can do all that and more. 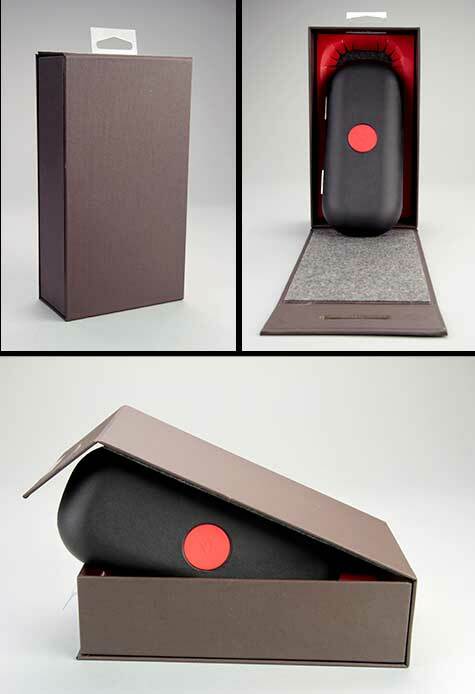 This case, available in black or white, provides a place to safely store and transport all your watch accessories. When partially open the TimePorter can also serve as a watch stand while charging over night, making it unnecessary to depend upon the clock provided by the hotel to wake you on time. 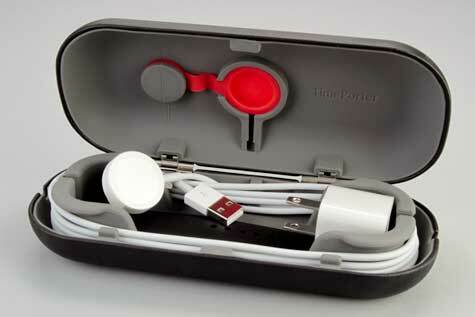 When not in use for recharging the watch, the charger and cord coil up neatly inside the case. 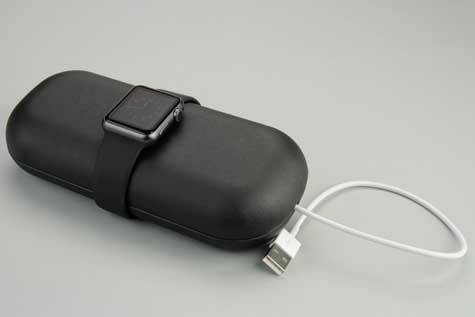 There is plenty of room to store the AC adaptor and a couple of alternate bands. Depending upon the band currently attached to your watch you may be able to store the Apple Watch itself inside the case. 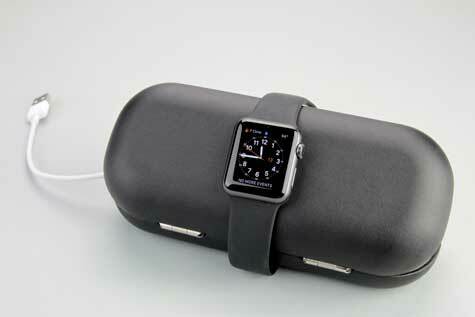 That is, if you ever take the watch off for other than charging, showering, and swimming. I have never photographed an unboxing before. I cannot overlook the packaging provided by twelvesouth. The TimePorter for Apple Watch arrived in a parcel worthy of the fine jewelry that it was meant to protect. The TimePorter for Apple Watch may not be for everyone. But for people who travel with their new chronometer this is the perfect way to protect and organize your support gear and accessories.